View More In Stem Caps. Package of 5 durable, weather resistant tire stem valve caps. Black Lexus logo on top. ABS plastic with chrome plated finish. TPM compliant. Fit on standard tire valve stem. Brand new official licensed logo product. 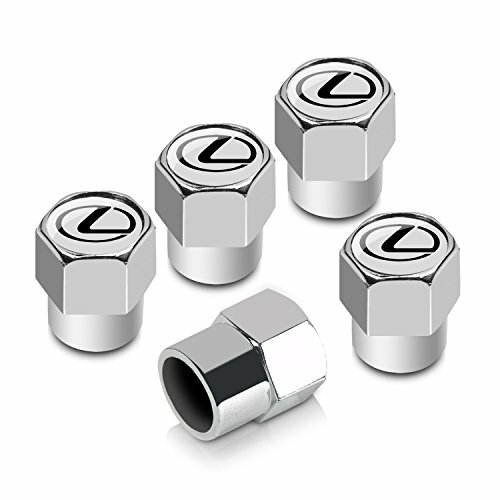 Package of 5 durable, weather resistant tire stem valve caps. Black Lexus logo on top. ABS plastic with chrome plated finish. TPM compliant. Fit on standard tire valve stem. Brand new official licensed logo product. If you have any questions about this product by Lexus, contact us by completing and submitting the form below. If you are looking for a specif part number, please include it with your message.